I love the this image of Hillary and Andrew celebrating their marriage with a kiss. It was taken just after their recessional. 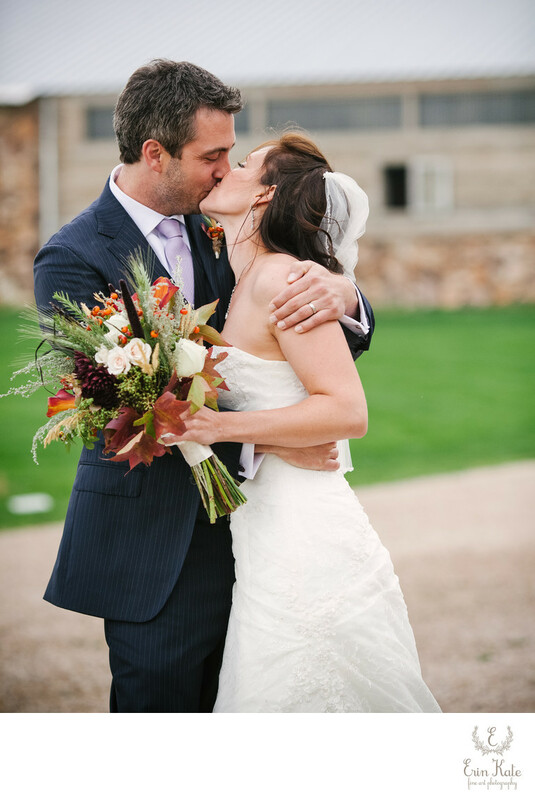 Hillary and Andrew traveled from out of state to Kamas, Utah for their fall wedding at the lovely High Star Ranch. When they were dating they started taking horseback riding lessons together and really fell in love with the amazingly beautiful horses and the sport. They knew they wanted to have a ranch wedding that had pastures full of the beautiful creatures. High Star Ranch was the perfect place. It was a stormy day in fall so their ceremony was moved into the dancing barn just in case the skies opened up. The image above was taken immediately after the couple became husband and wife. All of their guests formed a line to say their congratulations to the happy couple. It was such a beautiful setting with the green hills of Kamas in the distance to the east, the stormy sky above, and the ranch's beautiful trees, meadows, nearby creek, and the draft horses "June" and "July" looking on. 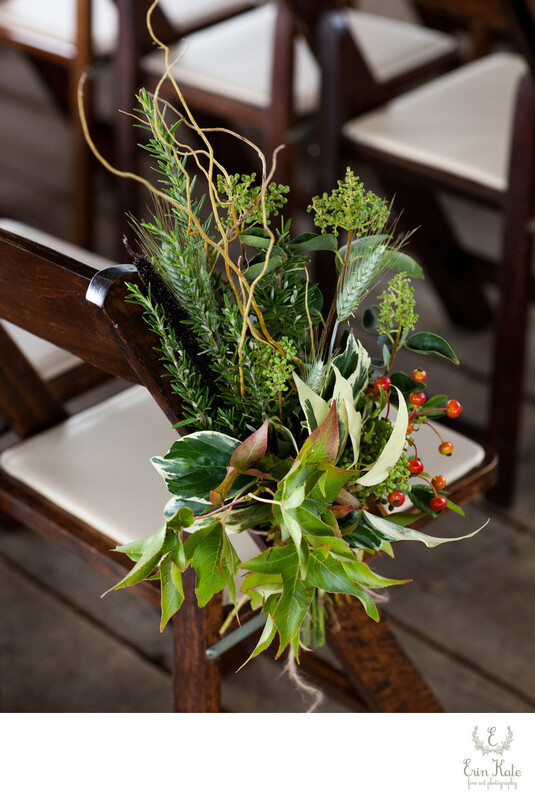 A fall wedding calls for fall florals. I absolutely love these simple arrangements created by LaFleur. They are a perfect mix of rosemary sprigs, wheat, various leaves, berries, and twigs. 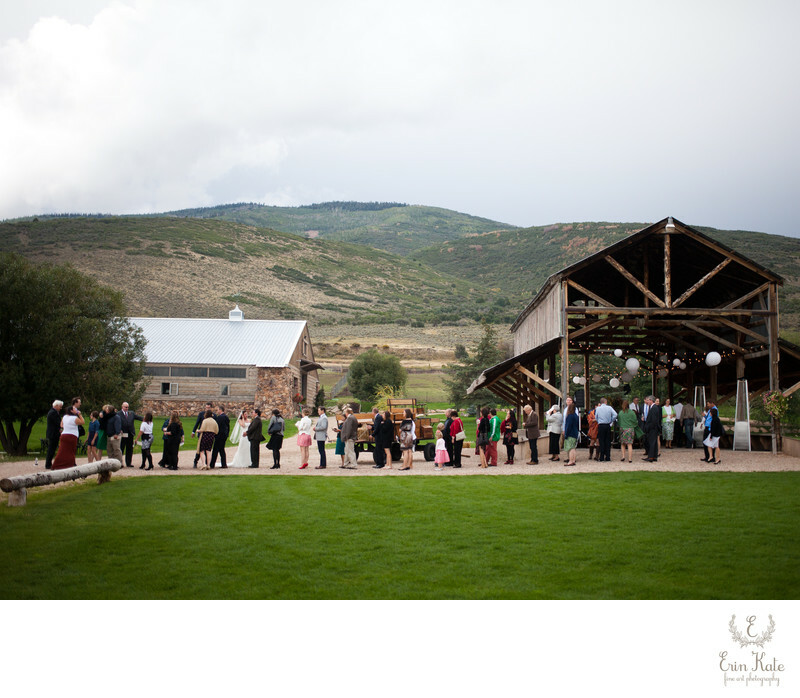 They naturally complemented the rustic barn and wood ceremony chairs.